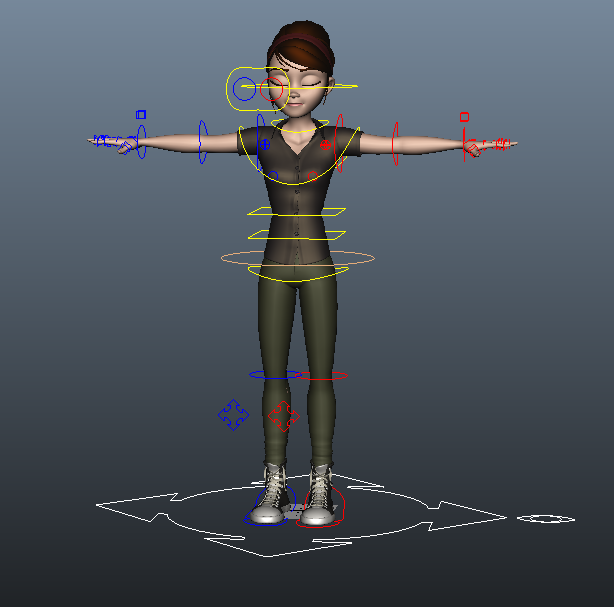 As part of some research into rigging for animation, I have downloaded and tested other available rigs on the internet. I’ve taken into consideration how they function, how their controls work and what they look like, and any additional features they have that would set them apart from other rigs. I’ve also been learning a bit of 3D animation so have been able to sample a few rigs already. The ‘Mike and Tina’ rig is simple to understand and use, yet is also very reliable and has a number of features that can be used. It has an FK/IK switch so you can move limbs around in multiple ways: such as from the hand (which moves the rest of the arm) or rotating each joint (hand, elbow, shoulder) individually. For controlling the face there is an interface which follows the head. Many elements on the face can be controlled by individual sliders. There’s also a face camera to allow you to animate the face up close even if the character is moving around. A recent rig that was made available is the Mery rig, which is very advanced and contains a whole range of features, while still remaining very simple to use even for a novice in Maya. 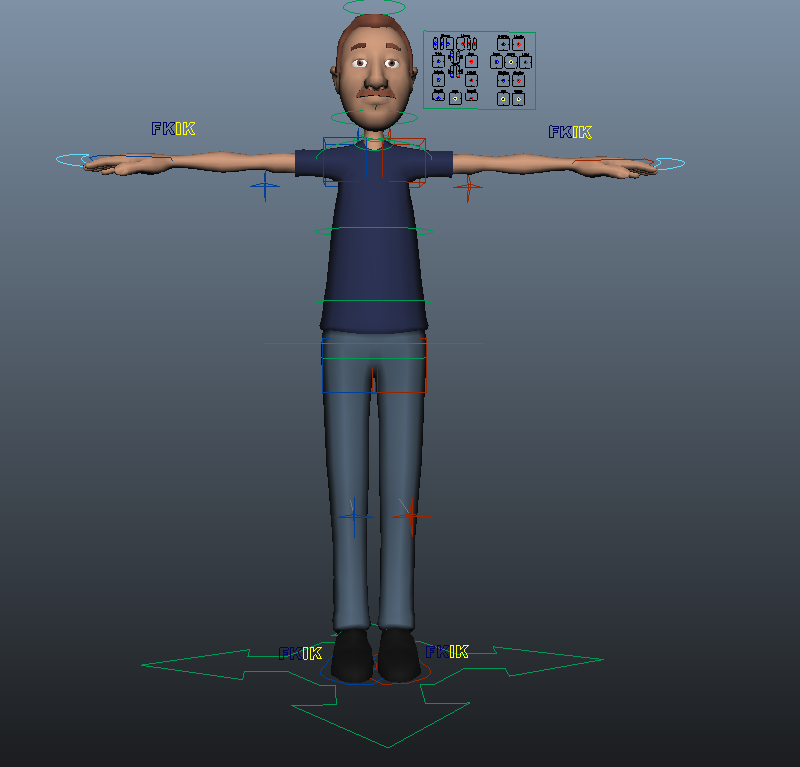 The character design resembles something from Pixar and with the in-depth facial controls and control features it is a very powerful rig to animate. 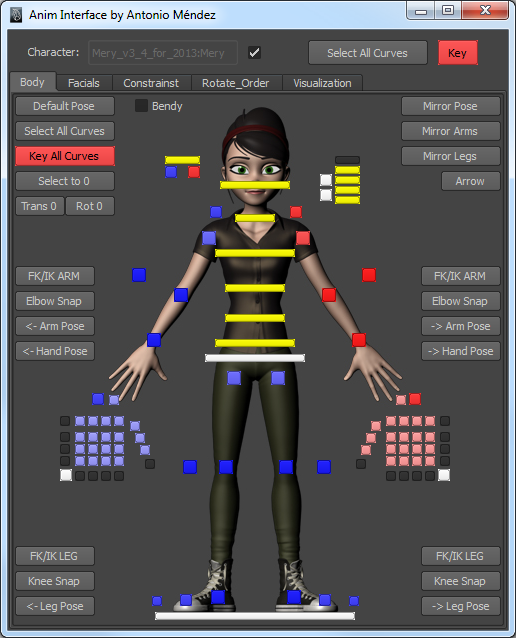 Mery also contains a facial user interface although is not labelled like MikeAndTina’s. 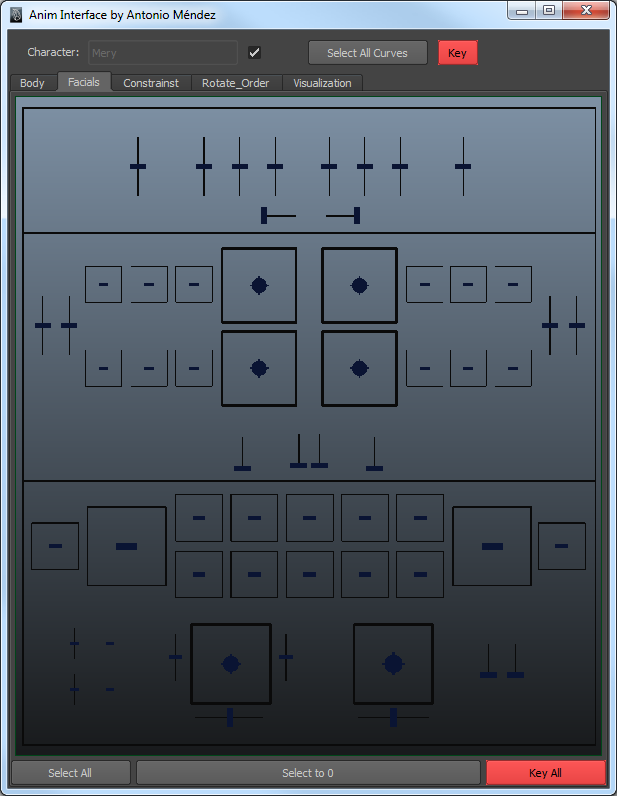 Fortunately the location of these sliders match up with the layout of the face so you can make a pretty good guess as to which control controls what. There’s also IK/FK switches on almost everything and I prefer the hand setup to other rigs as it allows you to just grab a controller and do what you want with it rather than messing with values. 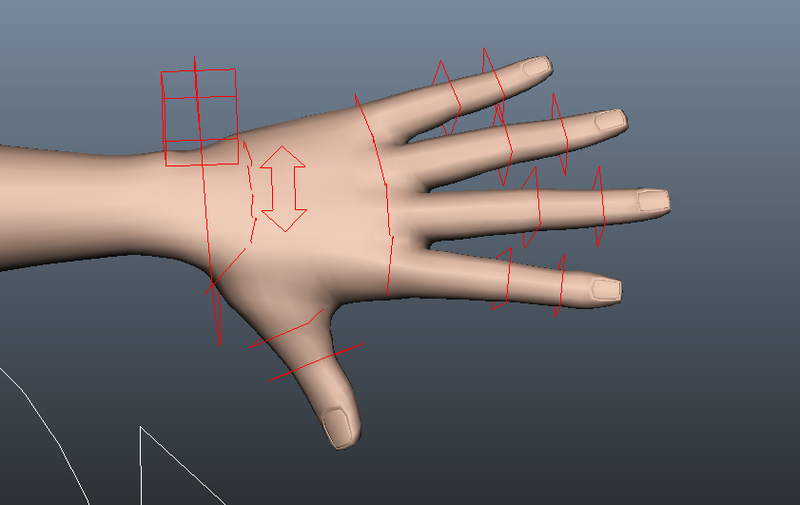 For selection of multiple fingers for example you can use the picker tool which comes with the rig. 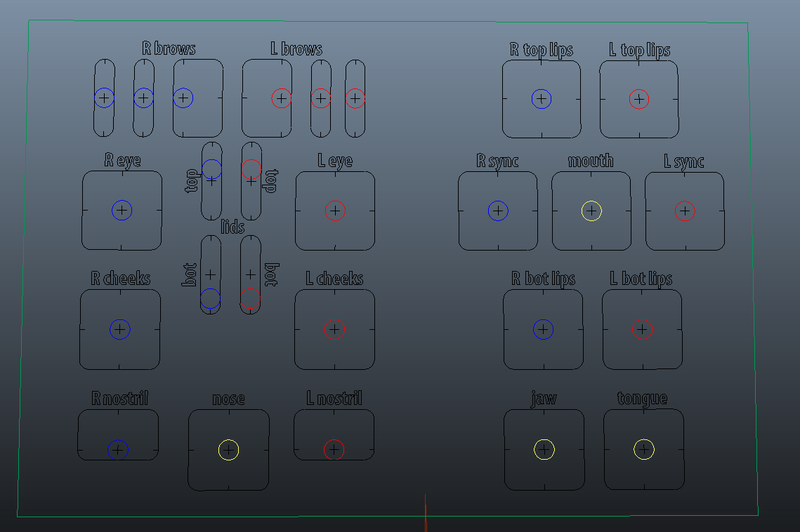 This picker tool is an example of a script that could be useful to look at for my scripting tool later on.